Saving yourself time and money with A/C costs starts with routine inspections and maintenance of your A/C unit by a licensed HVAC professional. Scheduling an annual inspection and maintenance check can drastically reduce your cooling costs every month and keep your A/C unit healthy for a longer period of time. It’s always a good idea to have your unit cleaned, inspected, and serviced annually. What better time than spring? Include in your spring cleaning schedule a check-up on your unit. Every time your unit is turned on, it gathers dust and other particles that can adversely affect the efficiency of your air conditioning system. It can be easy to overlook minor issues with an air conditioning unit if you don’t know what you are looking for. A professional HVAC expert, like the ones at Barlow Air Force One Heating, are highly trained and licensed to know what to look and listen for so that your unit stays safe through the duration of the season. Annual A/C inspections include assessment of your unit’s motor, coils, temperatures/pressures, connections, coolant levels, and more. Throughout the year, there are a number of things you can do to help with your annual inspection. This should not replace professional services, but it can definitely help ensure a longer life-span of your unit. Warning signs! Leaks, dirty or frozen coils, strange odors, poor air flow….all of these are signs that a professional’s help is needed. 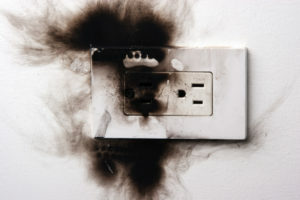 Having small problems inspected and checked throughout the year can really save on things that can turn into major and costly problems later on. Changing air filters regularly will help your A/C system’s performance. 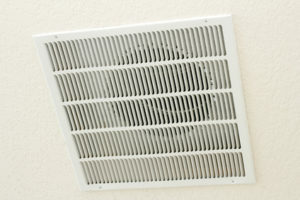 Dirty filters are clogged and can make it hard for air to move through the system. This makes your system work extra hard to do what it is made to do. When your system works harder, wear happens and your unit ends up with more problems. 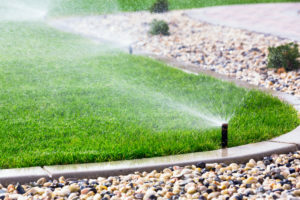 Aside from your DIY maintenance, there is one more step that can keep your system operating at top capacity. Bi-annual tune ups are your system’s best friend. Just like a car needs tune-ups, liquid top-off’s, and oil lubrication, so does your A/C unit. Have a licensed HVAC professional tune up your system twice a year and save thousands of dollars by not having to replace your entire system very often. HVAC professionals are licensed to perform annual inspections and routine maintenance of your A/C unit. Shop around for a good HVAC company like Barlows Aire Force One. Ask for recommendations and pay attention to the reputation of a company. Always double check to make sure the contractor that you hire has his/her license and use your gut instinct. If your unit has been working fine, blowing cool air, and isn’t making strange noises, but your contractor suggests many and/or expensive repairs, get a second opinion. In reality, air conditioners can have a life-span of approximately 15 years. If you keep yours maintained and cleaned properly and consistently, yours should last a long time. It’s common sense that most people wouldn’t choose to throw money away, but it might surprise you how much money you could be losing due to the inefficiency of your home. So how do you know if you’re throwing away money, due to the inefficiency of your home? Here are a few tips to help get your home and wallet functioning efficiently. If you have an older home or a newly built energy efficient home, hiring a professional to examine your home can be an effective investment. These auditors have the knowledge and tools to find problem areas in your home that could be costing you money, and offer solutions to help make your home run more efficiently and affordably. Having leaky windows or door frames causes the hot air in your home to escape and make for a cold drafty house. If you have old single pane windows, replacing to a more energy efficient window may help your home run more efficiently. If you’re not ready for a total home window replacement, installing storm windows could be another solution. Storm windows are installed over the existing house windows and are better wind and weather resistant offering protection and insulation to normalize the temperature of your home. Additionally, you can limit the amount of air escaping from your home by sealing leaks and cracks with caulk and weather stripping. If you have an older home, chances are, it’s poorly insulated. Keep comfortable all year round by adding insulation to your home. 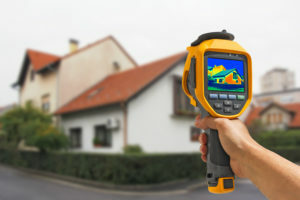 Having effective insulation in your home slows the flow of heat entering or leaving your house, each season, consequently impacting how much energy is required to heat or cool your home. If your attic is unfinished or your walls have empty cavities, consult a professional, with the information found in your energy efficiency audit, for solutions on where to add additional insulation. 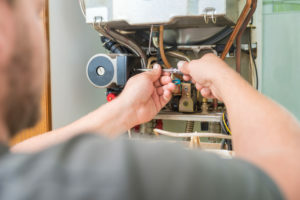 If your heat pump or AC unit is over 10 years old or your furnace or boiler is more than 15 years old, and in need of frequent repair, it may be time to consider upgrading to a more energy-efficient system. Energystar.gov reports that, “an Energy Star high-efficiency unit can save you up to 20% on heating and cooling costs.” Saving on energy costs shouldn’t be the sole factor in upgrading your system. If your unit has leaks, needs duct repair or insulation, look to see the best options for saving you time, hassle and money. A technician can give you the best options to extend the life of your current unit or advise you on an energy efficient system. The Federal Government offers tax incentives for repairs and upgrades made to your home. By going to www.energy.com, you can see the options for rebates that you can apply to your taxes. For instance, the state of Idaho will cover 100% of the cost of materials and labor for energy efficiency improvements made to your house. Depending on the year your house was built, adding additional insulation, upgrading and/or weather stripping and caulking your house windows can be covered. Furthermore, you can qualify for an incentive by upgrading your current heating and air conditioning system to an energy efficient unit. If you plan to make any repairs or upgrades to your home, discuss your options with a professional and research for tax incentives that you may qualify for so you can take advantage of the money saving opportunities.